LONDON, UK - DECEMBER 27: Neon lights and traffic on Piccadilly Circus on December 27, 2011 in London, UK. 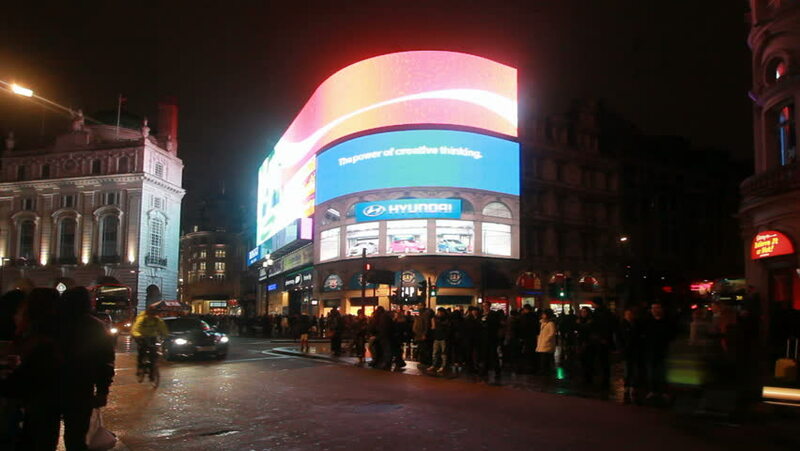 Piccadilly Circus is one of the main entertainment areas of London. 4k00:30SHENZHEN, CHINA - CIRCA APRIL 2018 : Scenery around LAOJIE TRAIN STATION at night. Also called DONGMEN area. Busiest area in SHENZHEN. 4k00:06Bangkok, Thailand-February 26, 2016: View of Sathorn District, a Central Business District of Bangkok. People walk on the skywalk. Skyscrapers located along the road. Traffic is on the road.